The West Virginia Science Bowl (WVSB) Regional Coordinating Committee is pleased to announce that the 2019 field for the WVSB middle and high school competitions is set! With the Feb.8-9 events quickly approaching, we welcome any and all volunteers. Please click the Volunteers tab to sign up! 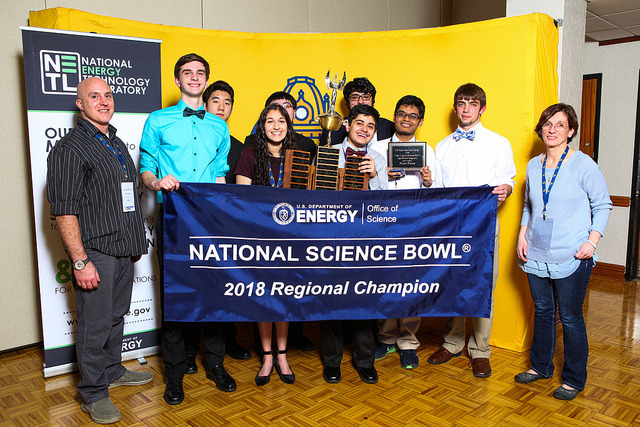 The National Science Bowl is sponsored by the U.S. Department of Energy and features a tournament-style academic competition challenging students in the fields of science and mathematics.